This probably does not come as any more of a surprise to him than it does to anybody else, given (a) that prosecutors are batting 1.000 on insider-trading cases these days, and (b) that he passed out as soon as he saw the jury walk into the courtroom. 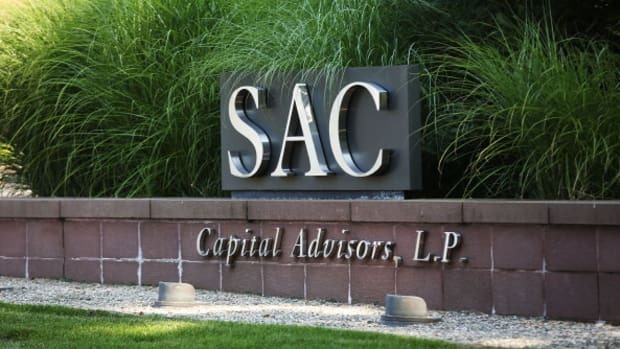 Michael S. Steinberg, the highest-ranking employee at SAC Capital Advisors to become ensnared in a sweeping insider trading investigation, was found guilty on Wednesday of trading on secrets gleaned from some of the nation’s largest technology companies…. Mr. Steinberg, 41, a husband and father of a young family that lives on the Upper East Side of Manhattan, appeared to faint briefly as the jury filed in to render their verdict. Judge Richard J. Sullivan sent the jury back to the deliberation room as Mr. Steinberg’s lawyers rubbed his back, his stricken wife looking on from the front row. The judge sent out for some juice and asked Mr. Steinberg if he could stand and walk. Mr. Steinberg, his face ashen, complied. “Yeah, I think I’m O.K.,” he said. And he was, for a few minutes, anyway.